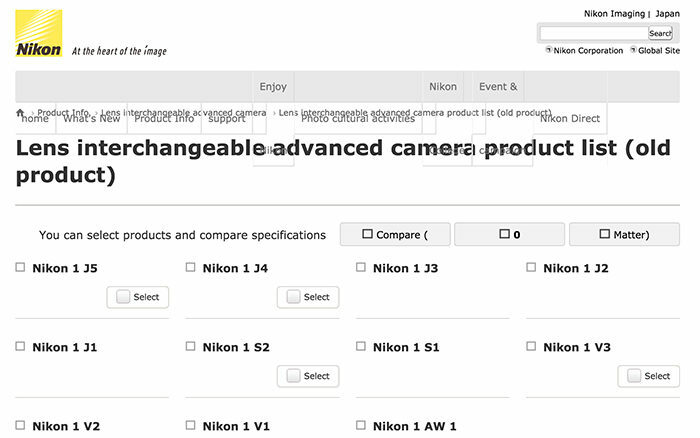 Nikon Japan officially marked the Nikon 1 lineup cameras as “old product” which means it’s discontinued. Bye bye Nikon 1 line…I will surely NOT miss you. It’s about time to welcome the new FF mirrorless! previous post: There is no typo error in that title: Nikon announces the P1000 with 24-3000mm lens!